Satellite Navigation (SATNAV) has revolutionized the navigation world, opening new opportunities which require high precision positioning and timing. Large service volume and all weather capability provide varieties of applications. 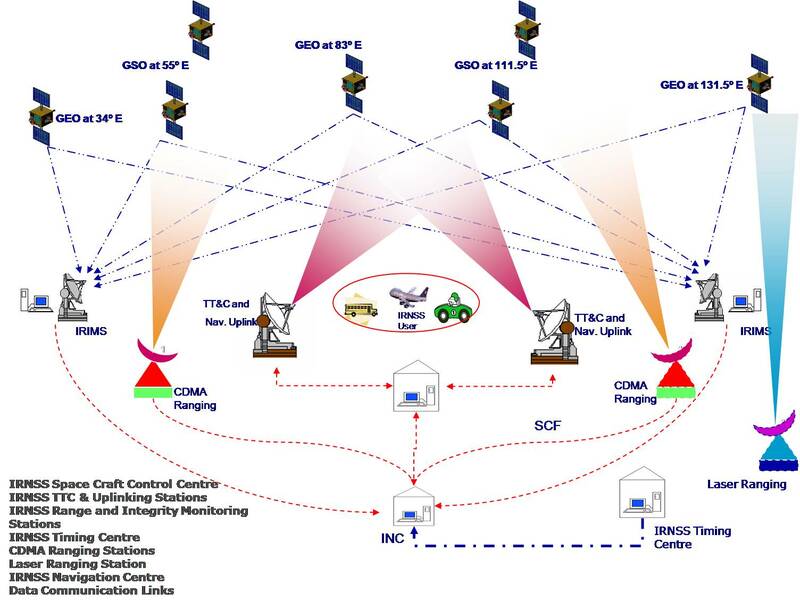 Under satellite navigation, SAC is working on IRNSS - Indian Regional Navigation Satellite System and the GAGAN systems. IRNSS aims at providing Standard Position Services (SPS) and Restricted Services (RS) for special users. Indian Regional Navigation satellite System (IRNSS) is an independent regional navigation satellite system developed by India. It is designed to provide accurate position information service to users in India as well as the region extending up to 1500 km from its boundary, which is its primary service area. The constellation of 7 satellite is operational from April 2016. IRNSS will provide a position accuracy of better than 20 m.
IRNSS User receivers being developed by SAC will provide timing and position information using signals broadcast by IRNSS Satellites and will form the basis for variety of IRNSS applications including civil aviation applications. IRNSS system is now called ‘NAVIC’ an acronym of NAVigation using Indian Constellation. 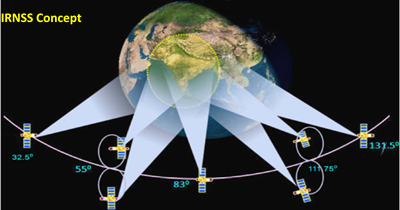 GPS Aided Geo Augmented Navigation (GAGAN) is a Satellite Based Augmentation System (SBAS) implemented jointly with Airport Authority of India (AAI). The main objectives of GAGAN are to provide Satellite-based Navigation services with accuracy and integrity required for civil aviation applications and to provide better Air Traffic Management over Indian Airspace. The system will be interoperable with other international SBAS systems and provide seamless navigation across regional boundaries. The first GAGAN navigation payload was flown on GSAT-8 which was launched on May 21, 2011 and the second on GSAT-10 launched on Sep 29, 2012. With GAGAN systems Satellite Navigation based civil aviation has got tremendous boost. The implementation of GAGAN has resulted into numerous benefits to the aviation sector in terms of fuel saving, saving in equipment cost, flight safety, increased air space capacity, efficiency, enhancement of reliability, reduction in work load for operators, coverage of oceanic area for air traffic control, high position accuracy, etc. Location based services, Mobile, Tourism, etc.